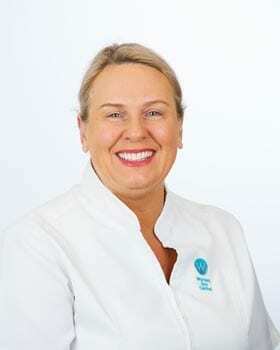 Warners Bay Dental has been extremely fortunate to have had Ros as an integral part of our team since 2002. As Clinical Coordinator, she consistently ensures the smooth running and organisation of our clinical department and oversees that Infection Control standards are maintained to the highest level. Ros provides proactive leadership to our clinical staff and regularly liaises with all dentists to ensure a happy and healthy workplace! Warners Bay Dental is a high-volume environment and having great dentists and staff, who actively respect and support each other, makes Warners Bay Dental an enjoyable place to work. In addition to her role as Clinical Coordinator, Ros actively assists chair-side as a dental assistant and is dedicated to helping provide the highest level of patient care.